Video Analyzer provides the user with the ability to compare the quality of two video and audio streams. 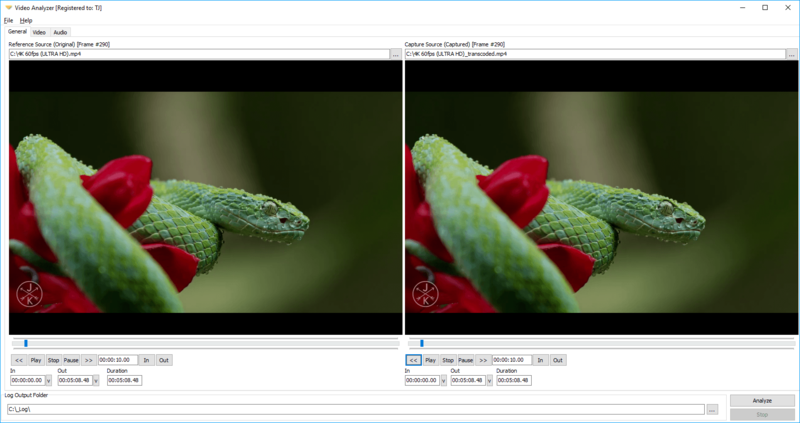 The solution produces a log with the MSE, PSNR and overall difference between the two streams on a frame-by-frame basis. Video Analyzer supports the following media formats: MP4, MXF, MPEG TS/PS with H.265, H.264, MPEG-2, AAC, MPA codecs as well as raw video RGB32, YUY2, UYVY, HDYC formats. The product can also detect black and freeze frames, as well as audio clipping. Video Analyzer is the perfect solution for measuring and assessing the video and audio quality after file-based transcoding or encoding of media files. The measured MSE, PSNR and overall difference can be used for detecting audio/video glitches, encoding artifacts, skipped and repeated frames and other encoding and transcoding anomalies. A real-time graphical analysis representation allows assessment of the quality on-the-fly – while the streams are being processed. 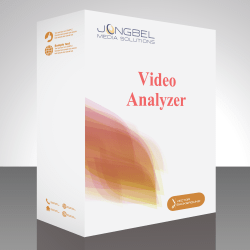 Not sure how Video Analyzer will work for you? The HTML log contains the full frame-by-frame analysis information for both audio and video streams. 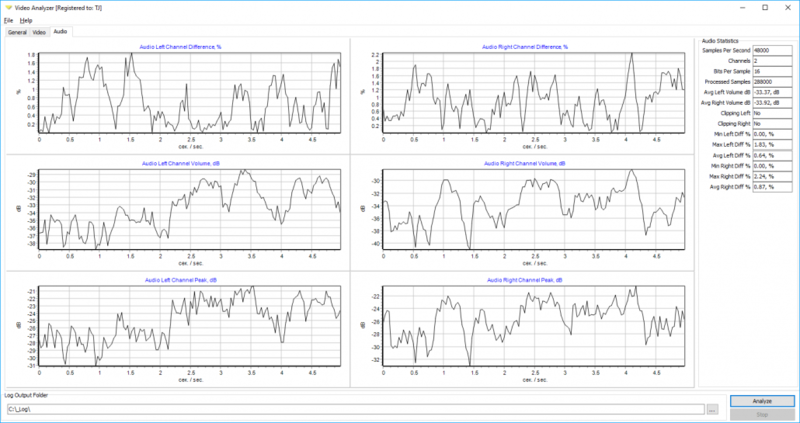 In the log you can also find graphical charts for quick overview of the MSE, PSNR, overall streams difference, audio volume, detected black and freeze frames as well as video frame difference frames with 5% and 10% threshold. Apart from the HTML log, which can be used for manual assessment of the quality, the product produces a CSV log with all the frame-by-frame quality information, which can be used in automated workflows. The CSV generated log is a standard input format for many automated systems, allowing you to take further decisions based on the measured audio and video quality. 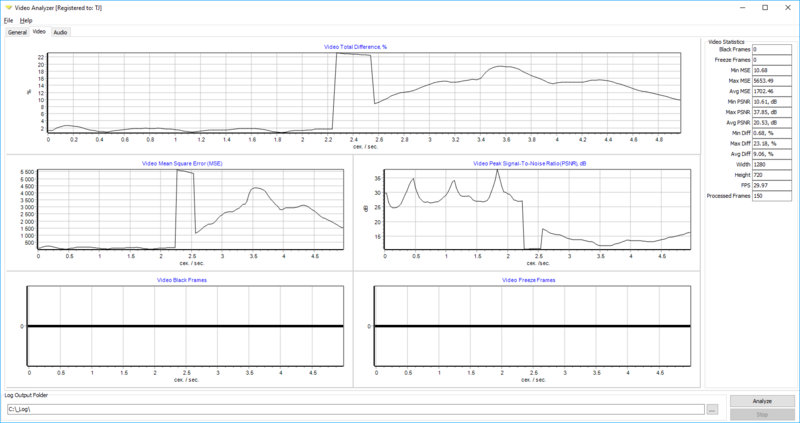 The video statistics tab shows the following analysis: Video Total Difference, Video Mean Square Error (MSE), Video Peak Signal To Noise Ratio (PSNR), Vide Black Frames detection and Video Freeze Frames Detection. The audio statistics tab shows the following analysis: Audio Left/Right channel difference in %, Audio Left/Right channel volume in dB, Audio Left/Right channel Peak in dB.